While working over the summer at the Agency Of Design, after they had moved to their larger studio space, I was tasked with designing and building their workshop and storage facilities. 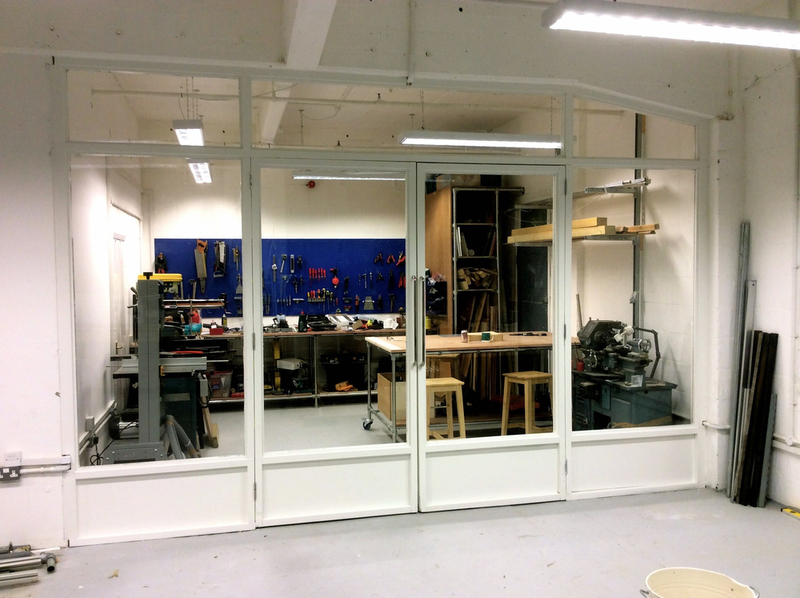 The studio was a large open space, so the decision was made to partition off one archway to create a enclosed area for the workshop to keep the dust and noise in. I designed and made a custom built glass partition wall. This was made using structural grade timber, and cut to size 4mm laminated sheets of glass. All the joints were lapped, and edges were sealed to maximise noise reduction. 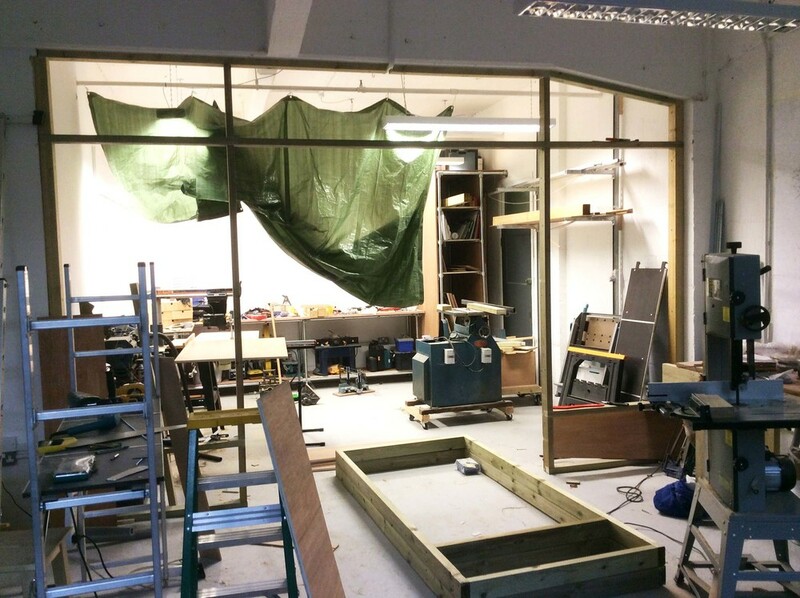 The large table, workshop surfaces, shelving and wood storage was made from scaffold style tubing and fittings. The tubular system was designed in Solidworks which generated a parts lists to send to the supplier. Over 100metres of cut to length scaffolding was delivered and assembled, with plywood sheets creating worktops and shelving. The system is expandable, extremely heavy duty and is bespoke built for best working height for the team.